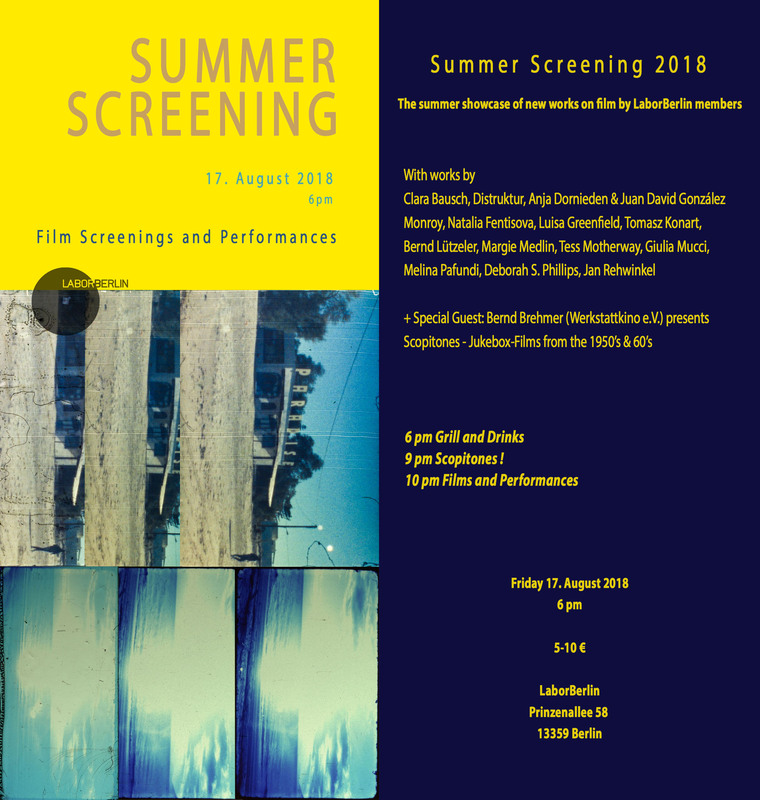 LaborBerlin presents its annual Summer Screening on August 17. Join us for an evening of new films and performances by our members. For this edition, we’re also happy to have with us Bernd Brehmer from Werkstattkino, who will present in our garden a program of Scopitones, 16mm jukebox films from the 1950’s and 60’s. We will start with grill and drinks at 6pm.